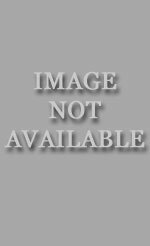 JamesAxler.com maintains a catalog of all books published under the James Axler house name, as well as a few other series. In this section you can find details on the latest books, or browse books by a variety of methods such as by series or by author. One hundred years after the nuclear holocaust known as Skydark, a group of warrior survivalists travel the Deathlands - the remains of what once was the United States. Ryan Cawdor and his companions are the ultimate survivors, searching the wastelands for a better way of life. When archaeologist and sometimes- television personality Annja Creed crossed paths with the legend of Joan of Arc's sword, her life was changed forever. Bound to the mystical blade, Annja travels the world researching ancient artifacts and legends and battling evil at every turn. 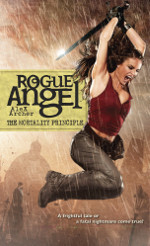 Trade paperback editions of Rogue Angel featuring three books in one volume. Room 59 is a multinational policing agency sanctioned to terminate global threats. Its high-level operatives are seasoned in the dangerous game of espionage and counterterrorism. A Room 59 mission puts everything on the line; emotions run high, and so does the body count. 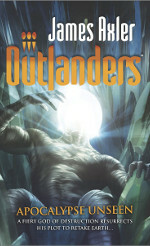 This trade paperback combined two existing novels, one from the Deathlands series and one from the Outlanders series. 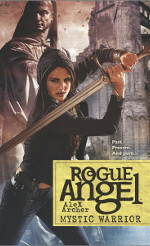 This three book series was the only other one to carry the James Axler byline. A group of astronauts returns to Earth after a deep space mission, only to find that civilization has collapsed during their absence. 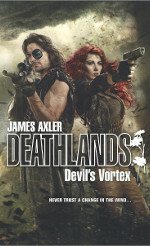 A lot like Deathlands, only different. Kinda.